Welcome back to another episode of the Be Prepared Channel. Sorry I didn't get to post yesterday. I was distracted with some other projects related to this blog. Hopefully we will have some cool stuff to show you and share in the coming weeks. Today we are going to try to wrap up shelter by talking about security. There really so much you can say about any one of these rules of 3 that we are really just trying to introduce the topics to you to get you thinking and we share some of our own experiences so far. Let's start this section by highlighting some areas that may need attention when it comes to securing your shelter. There are many threats that shelter is affected by such as natural disasters, fires, theft, vandalism, and even a breakdown in society's rule of law. So many different things can affect your shelter and the things you would need to secure it. So let's start of with the basics. Perimeter barrier ideas include fencing, natural plantings that are difficult to penetrate, natural land contour. I know at my current home in the city we have a fenced backyard, but not really a good security fence. There is no front yard fencing. Since we are planning on trying to sell this house I my plans to plant a barrier of bushes that are difficult to penetrate such as raspberries, blackberries, and roses will have to wait until we can get our housing settled. But plants that are naturally thorny, and difficult to get through will make a good barrier and something I plan on using to my own benefit. You get a dual benefit of security and also a source of food/medicine, and beauty at the same time. There are several options like this to consider and I would encourage you to give it some thought. Lighting can deter those intent on theft, vandalism or worse from trying to hit on your shelter. Motion lights, exterior lighting, and lighting around exterior buildings can be a big help. Today you can do some of this without a huge electric bill with solar exterior lights to help you shine some light on your property. I personally have installed a motion sensor light for the front door, but if the power goes out then there is no light. 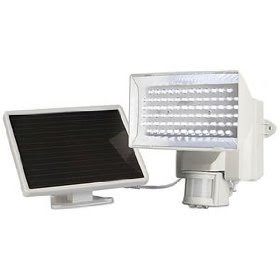 I am considering getting several of these solar powered security lights to address exterior lighting. For motion sensors I have been looking around and I think the Voice Alert System looks pretty good. I found it on Amazon and I am linking it here and including a picture. This is on my shopping list at this time. Locks: I have dead bolts on the front and rear doors. Of course not everything has to be high tech. Even just a simple bell, chime, or even some pie pans on a string hung on doors can be effective at letting you know when someone comes through a door. Animals can be very effective at making a lot of noise if someone is on your property or in your house. I have 3 little dogs and they make quite a racket. The certainly are effective if someone is at the house to hear them. However my dogs like so many peoples dogs are harmless and they can be dispatched to another room quickly while thieves do their work. So do not rely on your dog to actually attack or stop an intruder unless your dog has been specifically trained for that purpose. Neighbors can be effective at helping you keep an eye on your place when your gone. However I don't know if I could rely on mine to be much help. They seem friendly enough, but we don't exactly hang out and have a beer if you know what I mean. So get to know your neighbors, offer to help when you can and maybe you can build a relationship that can become the kind of trust that you can rely on each other to watch out for the neighborhood. When times get hard you may be relying on each other more than you know! Last category is firearms or some means of resistance. This typically is your last line of defense. By the time the police are called for some sort of problem the crime or whatever happened will be long since over and done with. So moral of the story is don't wait around like a sheep to the slaughter for the police to show up. You will need some way to defend you and your family. Now, I strongly urge you to go to a local gun range and find out about gun training classes before you buy a gun. My wife didn't want guns in the house when I first approached the idea. I made a deal with her. I asked her to go take a handgun course with me at the local shooting range. If after taking the course and having an opportunity to see, handle, and shoot a gun that if she still didn't want one in the house then I would not get one. She sort of begrudgingly agreed to the proposal and went to the handgun safety course with me. She got all her questions answered, understood more about the guns, and by the end of the course where we are allowed to shoot a variety of guns she clearly shoots better than I do! She loved it! And immediately wanted to know when I was going to buy her one! So please take the time to go to a shooting class, learn about firearms and how to handle them before taking any action on getting firearms. Now that said we have purchased many firearms since those days of the gun course. Rifles, shotguns, pistols. We have recently taken an Appleseed course and absolutely loved it! It is a great experience for kids and adults alike and it is dirt cheap training to boot. I highly recommend everyone check to see if an Appleseed event is happening near you! Be familiar with how you will use your gun to protect your shelter. The various scenarios, and always always always know exactly what your aiming at. Clearly ID the possible threat. The last thing you want to go is do something stupid or have a possibly deadly incident when you have a teenager who is sneaking in after curfew, or some other crazy thing. So be careful out there, but clearly a firearm is your last line of defense. So use your head. Along the lines of security I also recommend you get a safe for your valuables. If you get firearms you should consider a safe for weapons storage also. However keep in mind that not all safes are created equal, and anyone who is determined to get into one, or cart yours off will do it. Someone recommended the below video to me. It isn't the first time I have heard or seen this happen. I read last year of a fellow prepper who came home to find his house had been robbed and the only thing that kept his firearms and valuables safe was that he had taken the time to bolt his gun safe to the wall and floor. Apparently this was just enough resistance to thwart the theft of the entire safe. The sheriff's department told him that there had been six robberies like his and in each case they literally carted off the entire gun safe so there was evidentally a team of people doing this. So just something to be aware of. 3.8 Trillion dollar budget, and they are tacking on 100 billion more for a jobs stimulus... This spending our way out of a spending problem is working SOOOOOO WELL! Pretty sad when even NPR gets it... Banks have done nothing to address the problems that brought on this crisis. Fantastic State of the Republic speech given by Ron Paul... He lays out where we are in this financial crisis, where it is headed, unless we take bold action to change the system of corruption. Welcome back to another installment of Be Prepared Channel. Yesterday we did an overview of shelter, what it means, mentally preparing, and touched on some practical ideas on where to begin this exercise of being prepared. Now there are a lot of aspects to the Rules of 3 as it pertains to your environment. Are you at home, at work, on the road? Each thing is a large topic to itself so let's stay focused on home preparation at this point and what you can do to help make your situation at home in the context of shelter more capable of adapting. Now I have to admit I started this being prepared journey seriously only a little over a year ago. I guess I just sat back and read and acknowledged that I needed to do something, but did nothing. I find this all kind of funny now that I am moving and doing something about being prepareded. I have lived overseas and dealt with massive typhoons, earthquakes, unreliable power grids and a variety of other extreme conditions and apparently didn't let it all sink in just how ill prepared we were or how bad things could have really gotten. Why it didn't click or sink in each time something happened really has me scratching my head now. Well I guess today I am a lot older, and hopefully a little wiser. So to a large extent I am playing catchup. So I will share some of the things we have done so far and where we are likely to go with this providing the economy and jobs work out to allow us to continue building out our preparations. We are not anywhere near prepared yet, but I do want to encourage everyone to join in and tag along as we work on our preparations and share what we are doing. In the context of shelter which is the topic today I will share a little about our present situation and what we are trying to do. The tough economy has impacted us like many people. We have made job hops due to failing companies and outsourcing and even today as I write this we are in a huge state of flux with my wife taking a new job in Nebraska. That leaves the kids and I in Colorado trying to get our house sold in what is a horrible real estate market and economy. This makes this concept of shelter and being prepared even more interesting as we try to continue our preps even in this big state of transition. So if I can prepare even in the middle of a mess like this so can you! So let's talk about home preparations in the context of shelter. Depending on when your house was built may determine to some degree how flexible your home is to adapting to sporadic utilities, natural disasters, or how it is equipped to deal with human environmental factors such as crime, theft, and vandalism. Like many people prepping I am living in a city. 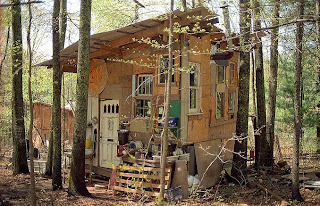 I don't really have the option at this point to get out of the city to a more rural and self sustainable lifestyle. So what can you do to make sure your home can continue to be your shelter even abnormal situations? First thing we need to think about is the life blood, or maybe more aptly referred to as the life support system for your house. The power grid. Today almost everything we have and do is run from the power grid. If you have been able to put in place solar, wind, or other alternative power source to get you off of the grid then I sincerely applaud your efforts and I hope to join you in the next few years as we work toward that goal. However if your not at that place then we have to think about what can we live without and what do we absolutely have to have? We are talking needs, not wants at this point. Maybe later on in the planning process and things are starting to come together we can progress beyond the need stage and focus on things that can make us more comfortable. So don't let yourself get distracted. Trust me so far this interest/hobby in preparing is full of things that will both overwhelm you in the sheer number of things that you need to do, and it is all too easy to get distracted into some of the more fun things of this hobby... IE guns and toys! So let's keep it simple. Let's think about power, and what you need in the absence of power. During the winter months the first thing that comes to mind is a way to stay warm. In my house we have addressed this with two options at this point. My home is natural gas heat when the grid is up, but no electricity means that the furnace won't fire, and the air handlers won't blow. There is no room or place to install a wood stove or fireplace. Now that we are trying to sell this house I guess it is beyond being an option. So for our heating needs we have focused on two options. I initially just bought kerosene, but then I had a hard time finding fuel in some areas and at certain times. So I decided I better have a second option. So we purchased the propane camp heaters for the time being that accept the small propane cylinders. We feel that these two options should give us options to chose based on fuel availability. Now for fuel. When I go to Walmart every few weeks to do my shopping I always swing by the sporting goods section and pickup a pair of the propane cylinders, some candles, and a can of camp fuel to add to my supplies. I keep a couple of 5 gallon fuel cans full of kerosene in the garage. So thinking ahead before it becomes an emergency will save you a lot of grief and potentially keep you out of harms way as people panic looking for fuel. Of course if you have the option to use wood, wood pellets, passive solar, or some other source of energy to heat your home this is fantastic and your ahead of the game. As we are looking for a house in Nebraska one of the requirements on my shopping list is having a fireplace or alternative method for heating, and a geothermal or passive solar home if we can find it. We have a few options in our home for cooking. Our stove is electric. So we purchased two types of camp stoves to address fuel availability. The first one is a dual fuel Colman stove. It will burn gasoline or Coleman Camp Fuel. 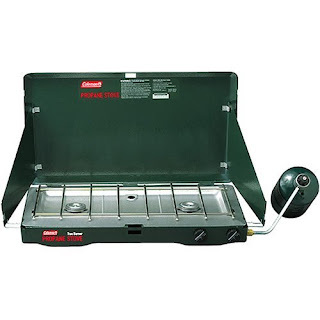 The second option we have is a Coleman Propane Camp Stove. It will accept the small cylinders as well. 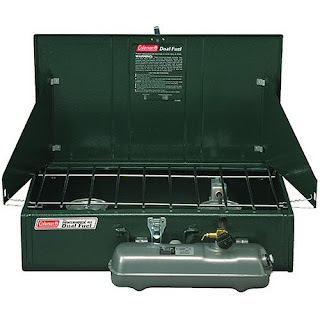 We also have a propane gas grill that could also be used. My most recent addition has been a solar oven. I love it! I hope to do a video review on this oven and how it works. It is just amazing to me that it can be 30 degrees outside and if the sun is shining and unobstructed your cooking with the sun. 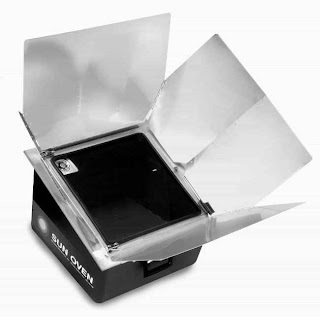 So we will be doing some videos on the solar oven and show a few things so far that I know how to cook in it. So the moral of the story is have options. Stock up on fuel each time you go shopping. Do it a little at a time and in no time at all you will be all setup and fuel will be a much lower priority and concern. So I think we will wrap up this edition here. In the next edition we will talk about a few more things to think about in securing and preparing your shelter. I ran across a book that I have really enjoyed called Possum Living: How to Live Well Without a Job and With(almost) No Money, by Dolly Freed. This book was originally written when Dolly was a very young adult. This book was republished recently and was mentioned in blogs and forums elsewhere. In the republished book Dolly adds a chapter at the end of the book from present day and reflects back on what she wrote and how she lived. Very interesting and insightful to see what a present day Dolly thinks! I enjoyed it a lot and it really shows how we can live today in many ways. I found a great documentary online about Dolly and interviews with her and her family back when this book was first released. I hope you enjoy it as much as I did. Welcome to another installment of the Be Prepared Channel. Yesterday we introduced the Rules of 3. You can survive 3 minutes without air, 3 hours without shelter, 3 days without water, 3 weeks without food in a survival situation. These are general rules and obviously there are always exceptions to the rules. Yesterday we went over the first and most pressing of these rules. 3 minutes without air, and some things to keep in mind. Today we are are going to touch on the next rule in your order of priority. First off we we frame this in the context of survival, and how to be prepared. Being prepared does not mean emptying your bank account to buy a bunch of stuff. The first place you prepare is between the left and right ear... IE Mentally. Of course survival can require some physical preparation, but if you don't have this thought out, have a plan, some skills, and know what is going on your chances of survival are slim even with the best gear and toys money can buy. So let's get into this concept of shelter. 1. something beneath, behind, or within which a person, animal, or thing is protected from storms, missiles, adverse conditions, etc. ; refuge. 2. the protection or refuge afforded by such a thing: He took shelter in a nearby barn. 3. protection from blame, incrimination, etc. 4. a dwelling place or home considered as a refuge from the elements: Everyone's basic needs are food, clothing, and shelter. 5. a building serving as a temporary refuge or residence for homeless persons, abandoned animals, etc. 7. to be a shelter for; afford shelter to: The old barn sheltered him from the rain. 8. to provide with a shelter; place under cover. 9. to protect, as by shelter; take under one's protection: Parents should not try to shelter their children from normal childhood disappointments. 10. Finance. to invest (money) in a tax shelter. 11. to take shelter; find a refuge: He sheltered in a barn. 12. Finance. to invest money in a tax shelter. As you can see there is a variety of definitions and contexts. But to summarize it is protection. In the context of survival it is the protection of your life, and well being. There are many situations a person can find themselves in search of shelter. You could be in your own home and seeking out shelter as we discussed in the 'Winter - Cold Reality" post earlier. If the power goes out and it is 0 degrees outside and your house becomes freezing it is no longer a sufficient shelter to protect you from the elements. You may not be outside directly exposed to the elements, but at the same time your home is no longer able to protect you from the effects of those elements. So shelter can take many forms, but remembering the essentials is critical. 1. Shelter should get you out of the elements, or counteract the elements or the external threat sufficiently to keep you alive. For example: You can be out in the pouring rain and it is chilly outside. The combination of the chill and the rain could very well put you at risk of hypothermia. You may not be able to find shelter to cover you from the rain, but you might have the ability, if properly prepared, to start a fire. That fire can counteract the effects of the rain to act as shelter from the cold and wet as it relates to core body temperature. So remember shelter can be relative to the threat your facing. The ability to make a fire regardless of the conditions has saved many people. Is fire, in the truest sense shelter? No, but it clearly can fall into that category. 2. Pay attention to body temperature and think about what type of shelter you need for your situation. - Then your obvious concern will probably be staying warm. Is it scorching hot outside? - Then you obvious concern may be finding shade. Using common sense and pay attention to your body temperature and the risks. 3. Hostile environments: A massive thunder or lightning storm, hail storm, tornado, hurricane, earthquake, a flat tire in a bad neighborhood, or an angry mob. Taking shelter means very different things in each of these examples. Analyze the threat to your well being and be prepared to take action quickly. 4. Mental preparation: What you do to protect yourself in the moments you have to think about the threat your facing could mean the difference between life and death. Think about your shelter options in advance and always be aware of your environment. Mental preparation has to be first. Just as we mentioned with the first rule air, you have to know your environment and avoid putting yourself in a place where you will violate the Rules of 3. 5. Physical preparedness. So you have mentally thought things through. Your aware of your environment, your place of work, your commute to work, home, and surrounding areas. You are familiar with your neighborhood and have thought about your home and the threats. You have the mental inventory of your situation, now it is time to start taking corrective action where you can to increase your odds of survival and your shelter options. - Think about replacing that car that is no longer safe, or to do much needed repairs to enusre that it functions as it should. - Consider getting a backup power generator, battery bank, solar panels, or wind turbine. 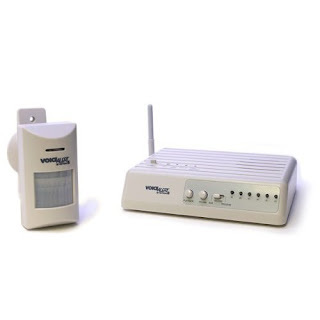 - Consider installing a backup source of of heating and cooking in your home that does not rely on the main power grid or utilities. - Get the proper clothing, gloves, coats, hats, and other emergency forms of protection from the elements in a kit in your car. - Do a inventory of the basics you have around the house like we touched on in a previous post about having fuel, alternative heating sources, and other essentials to counteract the threats of the outside weather. - Get into shape to handle the tasks and the jobs that would be needed in a situation like this so that you can get to, repair, or improvise a shelter. One of the things you can do is to get or develop emergency kits. Yes, kits plural. Why plural? If you build a emergency kit at home it won't do you much good in your car or at work! LOL If your on a business trip your kit at home won't help you when your away from home, work, or car. So it is time to start thinking about these preparations. Are these kits shelter? Maybe not directly in some instances, but they can very easily help you get shelter. 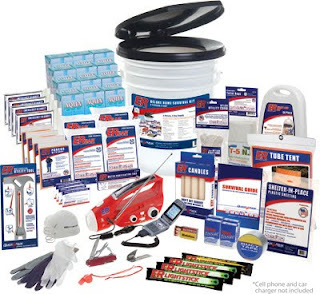 An emergency kit is personal and specific to you. It is about your specific needs and wants. Each kit is an individual thing. If you keep the Rules of 3 firmly planted first in mind as your building or shopping for a kit then you will have an idea what you will need. Or you can buy pre-made kits. I have no affiliations with any companies, manufacturers, distributors etc. I just did a quick google search and found a company that sells kits. I am sure you could find many kits like this on Amazon and in many other good places to shop online. (4) ER™ Food Bars - U.S. Coast Guard approved. 3 day supply for 1 person, 5 year shelf-life. (12) Water Boxes with Straws - U.S. Coast Guard approved. 3 day supply for 1 person, 5 year shelf-life. (50) ER™ Water Purification Tablets - To purify unsanitary water. One tablet purifies one liter of water. (1) Can Opener - Easy to use GI style can opener. Small and effective. (4) ER™ Emergency Blankets - Designed by NASA to retain 90% body heat. (4) ER™ Ponchos with Hood - Don't be caught out in the elements without shelter. Lightweight and compact. (1) ER™ Emergency Tent - Comes with rope and instructions. A quick and effective shelter. 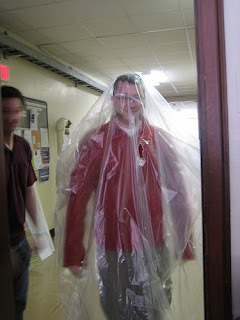 (1) ER™ Plastic Sheeting - Shelter-in-place for protection from contaminants. Easy to follow instructions. (1) Roll Duct Tape - Great for various applications. (4) ER™ Out-of-state Contact Card - Keep track of loved ones with these. (3) ER™ Green Lightsticks - 12 hours of bright green light at the snap of a finger. 4 year shelf-life formula. (1) ER™ Yellow Lightstick - 12 hours of bright yellow light at the snap of a finger. 4 year shelf-life formula. (5) ER™ Emergency Candles - Each candle lasts 5 hours. Provides light and warmth. (50) ER™ Waterproof Matches - Light after getting wet. Unique non-toxic formula. (1) ER™ 52-piece First Aid Kit - Comprehensive first aid kit in plastic carrying case. (1) Safety Whistle - Blow loud for immediate rescue attention! Comes with lanyard. (4) Dust Masks - Prevents dust and germ inhalation. Reduces risk of inhaling toxins. (1) Pair Vinyl Gloves - Protects hands from infection. Maintains sanitary conditions. Comes inside 1st aid kit. (1) Pair Work Gloves - Heavy duty with leather palm. Perfect for sifting through dangerous debris. (1) Swiss Army Style Knife - 5 function folding knife. A must for any survival kit. (1) ER™ Multi-function Utility Tool - Shut off gas and water, use as pry bar, and dig through debris. (1) ER™ Nylon Utility Cord - 50 feet of heavy duty nylon rope. Perfect for any number of uses. (1) ER™ Survival Guide - Complete guide to surviving any disaster. (1) Snap-on Toilet Seat (optional) - Snaps on to container for use as a portable toilet. (12) Sanitation/Toilet Bags - For use with container as a portable toilet. (1) Package Toilet Chemicals - Maintain sanitary conditions by using with container, seat, and bags. (4) Tissue Packs - Multi-task sheets to maintain sanitary conditions. (1) ER™ 5 Gallon Bucket Container - Use with chemicals, seat, and bags as a portable toilet. Now is this what I would personally put in my home kit? No. But it is lists like this that can give you a starting point for developing your own list. Then listen to people who are experts in this field that will help you formulate what you would want to have in your kit. Do I recommend buying a kit? Only if you find something that you think will meet your needs. If you choose to buy a kit please take the time to learn what is in the kit, how it works, and be mentally/physically prepared to use it. This is true regardless if you bought a pre-made kit or built it yourself. Keep in mind that any kit that you might make or buy should be tailored for your specific environment. Obviously getting a list and ideas from someone who lives in a desert may not apply to you if you live in a place that has no deserts and a completely different climate and risks. So pay attention to what your needs for shelter are in your area. In upcoming posts I will get into my own personal preparations, my kits, and some reviews of some of the gear that I have bought and my experiences so far. I am far from an expert in this field so I am sharing my own experiences and hopefully can help others as they become prepared and avoid some of the mistakes that I have made in this learning process. I hope your enjoying the blog and we will start to get into more of the specifics as we finish up covering the concepts. Thanks for reading! Welcome back to another installment of the Be Prepared Channel. Yesterday we talked about Winter Preparation, things you should be aware of and thinking about during this dangerous time of year. But how do we know what we need to do and in what order? How do we plan an prepare for such things? Most people don't think much about emergencies. We take things for granted such as the electricity being on, the house being warm, and water coming out of the faucet when we turn it on, and there being a dial tone on the phone when you pick it up. It is easy to take for granted as for many years now our power, utilities, phone, and water systems have been pretty stable across much of the US. It only takes a good winter storm, an earthquake, tornado, hurricane, a flu pandemic, or even just an accident to get the blood pumping and asking ourselves "What if that had been me?". I hope your asking yourself these things and I hope that is why you are reading this. So if you read along with us so far then it is time to talk about the priorities of any survival situation and what you must do to be prepared for it. So today we are going to talk about the "Rule of 3's". The rule of threes will help you understand what you need to do first in any situation. Remembering these rules can save your life and the lives of your loved ones. Think of it as your priorities list of things to do. Most survival experts, emergency responders will emphasis the "Rule of 3's". You can survive approximately 3 minutes without air. You can survive approximately 3 hours without shelter(fire or heat source falls under shelter). You can survive approximately 3 days without water. You can survive approximately 3 weeks without food. Now if you have been watching current events you know there is a catastrophe happening in Haiti with the massive earthquake. If you watched the disaster unfold in New Orleans with Katrina you saw the devastation that comes from these events. It doesn't take a massive storm or event to bring normal everyday life to a halt. If any of these big events have taught us anything it is that YOU are responsible for YOU and YOUR FAMILY! The government won't be there to pick us up and kiss our boo boo's and make them all better. Emergency responders may not be able to get to you, and even if they can will it be in time or will they they have the assistance you need? Back to our "Rule of 3's". Will you have the things you need to ensure that the priorities in our 3's are met? Look at Haiti right now as the government begs for tents and supplies. The governments everywhere just try to plan for the "normal" and they become flat out overwhelmed when the unthinkable happens. There is a saying that civilization is approximately 9 meals away from anarchy. Without the rule of law that we enjoy today things get dicey very very quickly. So that is why we are touching on your basic preparation needed to be ready to deal with everything from the most basic inconvenience to all out chaos. So let's start with the first rule of 3's. - Make sure to pay attention to your environment and the things that can cause you to violate this rule first rule. - If you have to burn a fire, or use your emergency supplies that may consume oxygen think about the ventilation requirements. Never leave a fire or anything that consumes oxygen going while you and your family is sleeping. Think about the oxygen that your heater consumes or the carbon monoxide that can be emitted which can be downright dangerous if you don't pay attention to the risks. - If you have to seal off an area using plastic bags, tarps etc pay attention to the needed airflow in an area. - If you find yourself taking shelter in plastic, tarps, trash bags pay attention to not cover you head to ensure that your able to get air. - If your in a small confined space like a small room or car and are trapped due to weather or other extreme events pay attention to keep windows cracked and most especially if you have to run the car to keep warm or have to light emergency candles or anything that might consume your air. - Try to pay attention to the places you find yourself to ensure you do not become trapped so that this 3 minute rule becomes violated. I know it might be self explanatory, but this focus on air cannot be over emphasized. People die every year due to asphyxiation, and in an emergency it is easy to lose focus on this simple rule. Who's day was it to watch the kids? Many people recommend a program that aired on History Channel recently called "After Armageddon"and I highly recommend you watch it if you have not seen it. It is pretty well done and they tried to stay on message to illustrate what could very well happen if some major event like a flu pandemic were to happen. Some of it has been dumbed down or summarized for brevity to fit in the time they had available or to try not to spook the audience too much. I hope you enjoy it and it gets you to thinking about things in maybe a new or different light. I inserted the videos from YouTube below so that you can check it out. NOTE: The content presented is somewhat graphic and may not be suitable for small children. Please take this into consideration before viewing this program. Thanks! 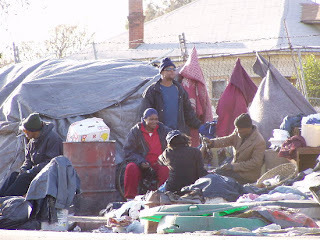 Well it has been a cold and severe winter in many parts of the country already for the 2009/2010 winter season. Many parts of the country have been blasted a couple of times now with incredibly cold temperatures and lots of snow. Yesterday blizzard conditions hit the midwest. This is a dangerous time of year so it is very important to be prepared for whatever mother nature dishes up. As we all know climate is constantly changing and you can never be sure of what is going to happen. At times I think we all get lulled into this sense of complacency and then along comes a Katrina to slap us back into reality. The valuable lessons of these major events cannot be understated, nor should they be overlooked as something that happened someplace else. Each of us have to take a personal assessment of our own environment and then plan accordingly. Maybe you live in California and a blizzard is the last thing on your mind, but the preparations for any event transcent location and local geographical issues in most cases. The mentality and preparations are similar. California can take some lessons from Haiti and think about it's own disaster planning along those lines.... But I digress. We can talk about earthquakes and disaster preparations for that scenario in a future installment. For winter preparations we need to look at some of the likely scenarios. 1. Have an alternative source of heat for the extended periods that you might be without power. 2. Have alternatives for cooking in an emergency. 3. Make sure you have ample clothing and other ways to keep warm. Think layers, insulated underwear, thinner socks with thicker wool or insulative type socks over them, sweats, sweaters, jackets. Outdoors wear again think layers. If you have to go outdoors pay attention to your level of effort and strip layers before you start to sweat. If you sweat, you will get wet and then you will freeze in cold temps. 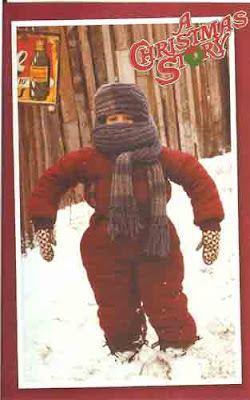 Bundle up appropriately for the weather conditions. 4. Bedding for extreme conditions(ie no power). Get yourself good sleeping bags rated down to 32 degrees and below. I recommend checking out military surplus for the MSS sleep system used by our folks in uniform, ebay can be your friend. Wool blankets, again military surplus, or look for the higher quality Italian wool blankets which are larger, heavier, and seem to be much better quality. People can survive approximately 3 days without water, but don't put yourself in that situation. Store some water for emergencies. Approximately 1 gallon per person per day minimum for daily consumption. So you will have to do the math from there based on the number of people you will have. If it is blizzard conditions do not attempt to go anyplace. Stay home! If you have prepared yourself you should be all set and not have to go out for anything. Don't be one of the crazed lunatics rummaging around in stores looking for anything you can find. If the weather good enough that you can travel it is a good idea to be prepared for the unexpected, so have an emergency kit in your car(we will go into what to have in your kit in a later installment). Make sure your car is ready for the job, winterize it, make sure your jack is in the car and in working order, make sure your spare has air in it, check all your fluids before attempting to head out on the road. A breakdown on the side of the road can be dangerous. 7. Food - having items that do require refrigeration and minimal energy use to prepare. Typically your looking for long shelf life items. Most importantly whatever you like to each and know you will eat that can keep without refrigeration! 7. The MISC items that you will need. You fill in the blanks here, what else might you want to make sure you have on hand if you could not get out to the store for a week? two weeks? Hopefully this is a good introduction to Being Prepared for Winter. If you don't have these items on hand get them before it becomes an emergency. Be Prepared can pay off! Federal Reserve - Secret Monetization? Welcome to the Be Prepared Channel Blog. The purpose of this blog is to show and cover items of interest in being prepared. The motto of the Boy Scouts is "Be Prepared. It is a great motto and is most certainly is pertinent in these troubling times we live in today. I don't want to bog you down with the depressing news stories, but it all ties into why be prepared. On Be Prepared we are going to both blog and offer video tutorials on simple things you can do to keep yourself, your family and loved ones safe. I know people immediately think about first aid kits, and fire extinguishers when talking about being preparded. We will touch on these topics at some point in our series of topics. We will be starting by talking about the economy and being prepared for trying economic times. If your already facing tough economic times hopefully we can offer some tips and and instructions on things you can do to cut costs, possibly improve your quality of life, and learn some new skills in the process. Thanks for checking us out. We hope you enjoy our blog.